Minneapolis, MN – Jan. 9, 2014 – Spare Key, www.sparekey.org, announced today that the Edina Realty Foundation has been chosen as the 2014 recipient of the Spare Key “Derian Keech Parade of Kindness” award. Named after the son of the founders of Spare Key, Robb and Patsy Keech, the award is given annually to those companies, organizations or individuals that have demonstrated through their support of Spare Key a “Parade of Kindness” towards others. 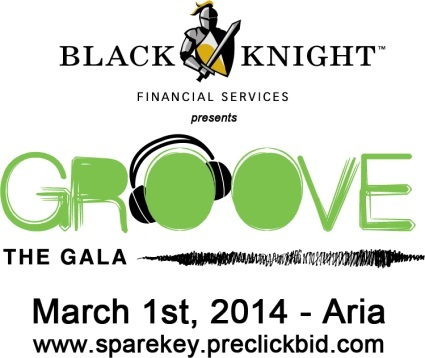 The award will be presented to the Edina Realty Foundation at the Spare Key Groove Gala on Sat., March 1, 2014 at Aria, located at 105 N. 1st Street in Minneapolis, Minnesota. Developed with the input of the organization’s founders, the award honors the life and legacy of Derian Keech, who earned his Angel Wings in 1996 at age two after a lifetime struggle with heart disease. The award is intended to recognize those that have gone above and beyond in their support of Spare Key’s mission of providing housing assistance to families that have a seriously ill or critically injured child in the hospital. Nominees were selected based upon the five essential criteria of the award: sharing the joy of Spare Key with others, reaching out to others and giving generously of their time and talent to increase another’s joy, leading a parade of kindness, accepting challenges and being fearless. Spare Key, www.sparekey.org, is a Minnesota based non-profit that provides rental and mortgage assistance to families with seriously ill or critically injured children in the hospital. Spare Key supports families in Minnesota, North Dakota, South Dakota and Wisconsin and is a registered 501 ( C ) (3) with a FEIN of 41-1888767. The Edina Realty Foundation is a non-for-profit, private foundation supported through donated funds and volunteer time by Edina Realty sales associates, employees, and the Edina Realty Home Services. The Foundation offers financial support to non-profit organizations that provide housing and related services to homeless families throughout Minnesota, western Wisconsin and Fargo, N.D. The Foundation has raised $7.3 million since its inception in 1996. For more information, visit www.edinarealty.com.